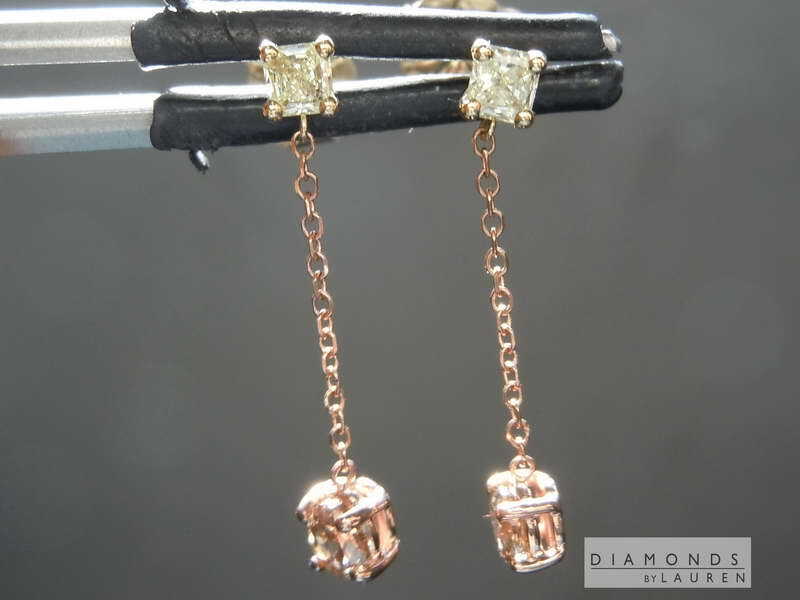 This is a really sweet pair of diamond dangle earrings. 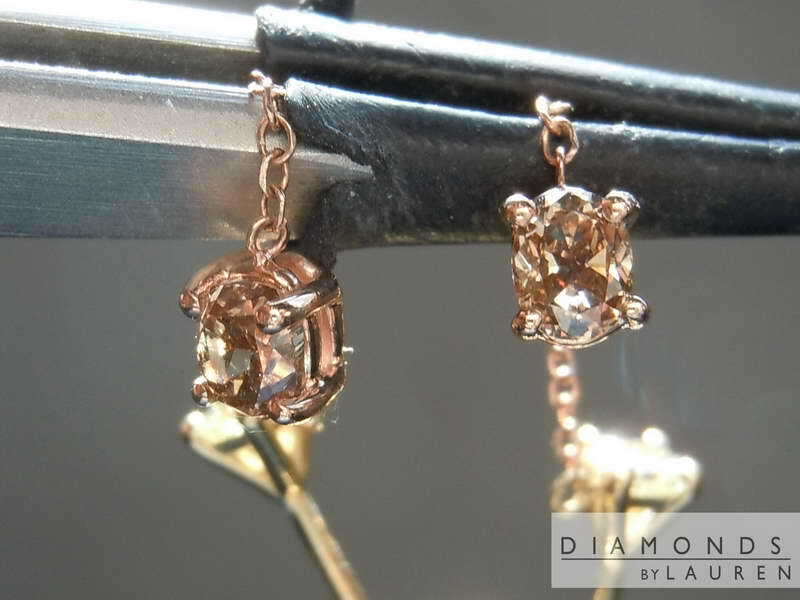 The bottom features brown oval brilliant diamonds. Brown seems so mundane - these stones really have a lot of life to them. 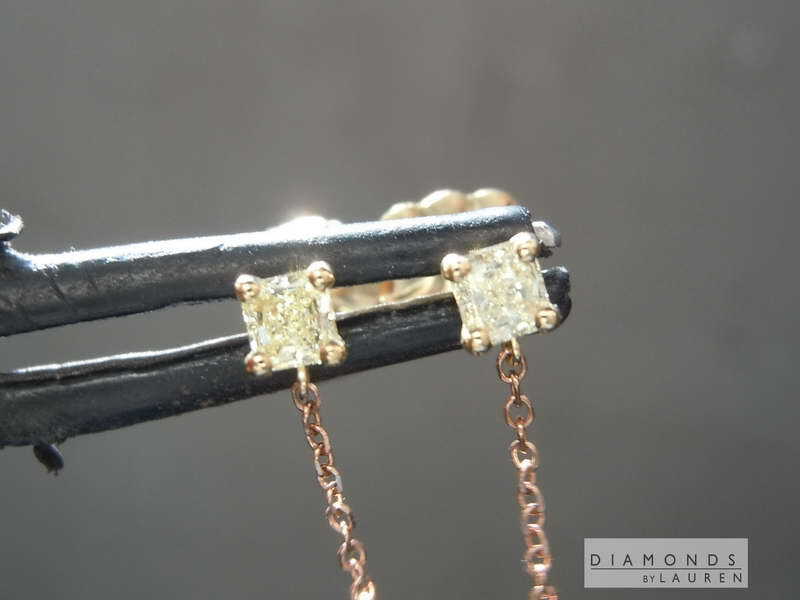 The earrings are about 3/4 inch total in length. 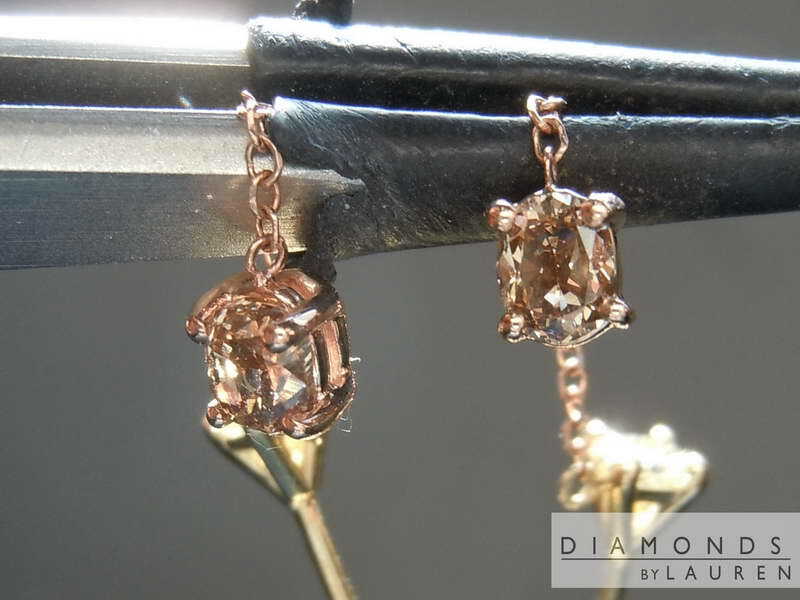 Really dazzling pair of earrings!